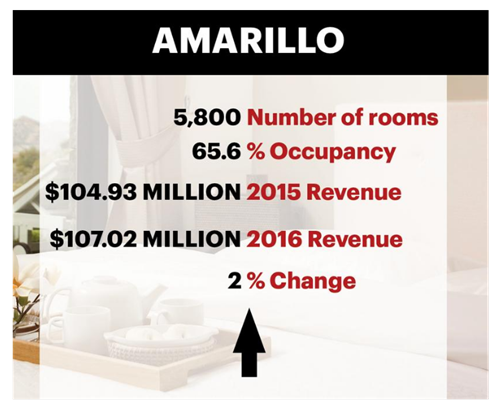 ​​​​ AMARILLO – Source Strategies Inc.​, a San Antonio-based hotel consulting company, has published the its latest Hotel Brand Report. The report shows that Amarillo saw a 2 percent increase in revenue, from $104.93 million in 2015 to $107.02 million in 2016. ​Check​ out Source Strategies website here.